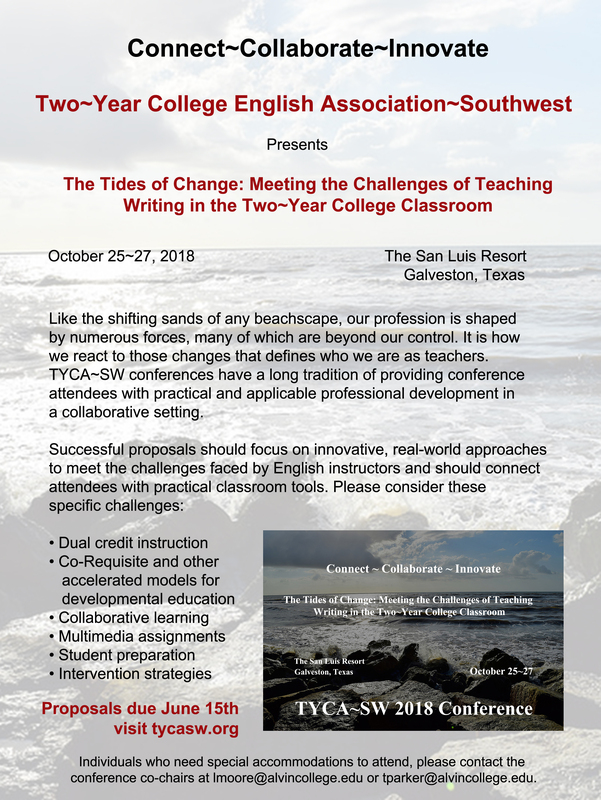 The sessions for the TYCA~SW 2018 Conference will be 50 minutes. Successful proposals should focus on innovative, real-world approaches to meet the challenges faced by English instructors and should connect attendees with practical classroom tools. Panels are welcome! Submissions due by June 15th!